Customized overcoat with embroidery !! Here is a customized overcoat with embroidery. The regular overcoat is of standard size of sky blue color with a contrast strip added on the pocket and also on the sleeves. There are many different colors of overcoat that can be made based on your brand requirement. 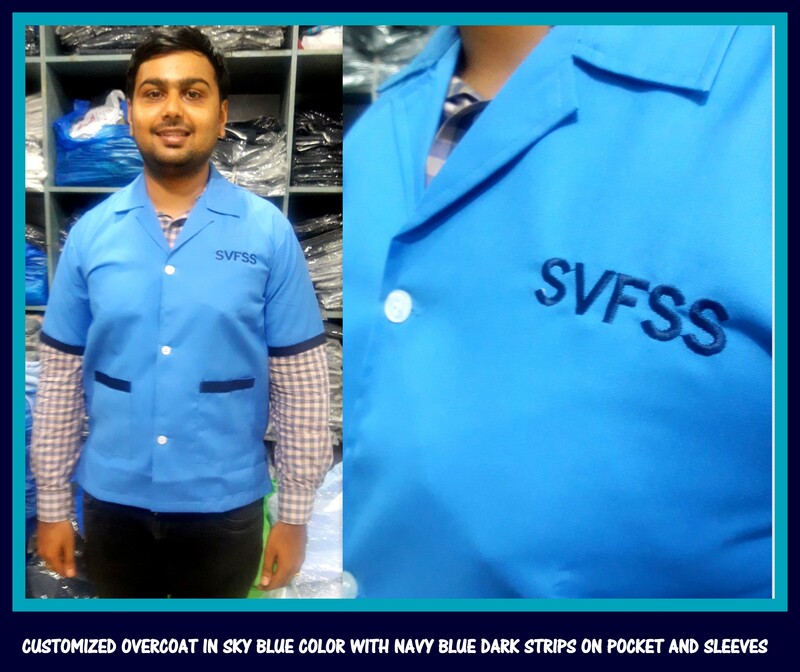 Call us now for your requirement of Uniforms in Chennai. We are here to assit you with your uniform needs.